Peel and chop kiwi fruits and banana. In a blender, add chopped fruits, milk and sugar and blend till smooth. very healthy and mouthwatering smoothie.. 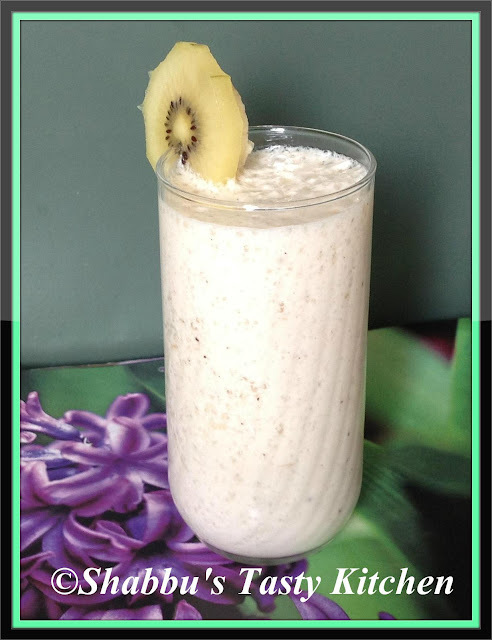 The smoothie looks divine in color..It's refreshing to find such recipes Shabbu. The smoothie looks delicious. Never tried this combo before.